Item # 296579 Stash Points: 2,899 (?) This is the number of points you get in The Zumiez Stash for purchasing this item. Stash points are redeemable for exclusive rewards only available to Zumiez Stash members. To redeem your points check out the rewards catalog on thestash.zumiez.com. Grab the new most comfortable shirt in your wardrobe with the adidas Skate Pocket Black T-Shirt. 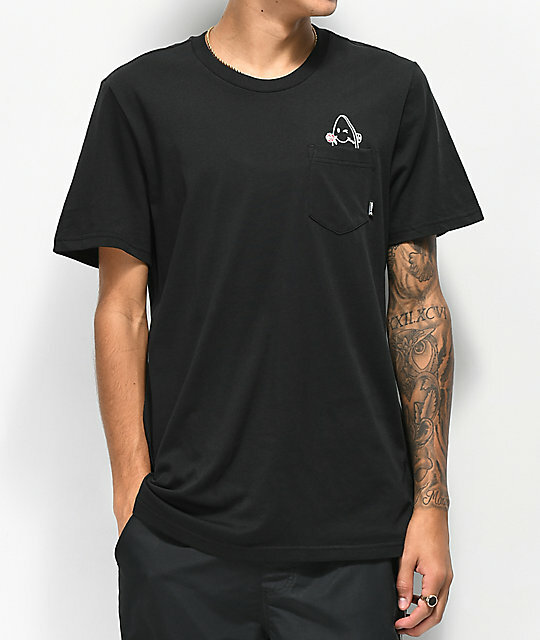 This extremely stretchy and soft tee features a winking skateboard image in the pocket on the left chest with a rose inside his mouth. Simplistic but by no means boring, pick up the adidas Skate Pocket Black T-Shirt for your shirt collection. 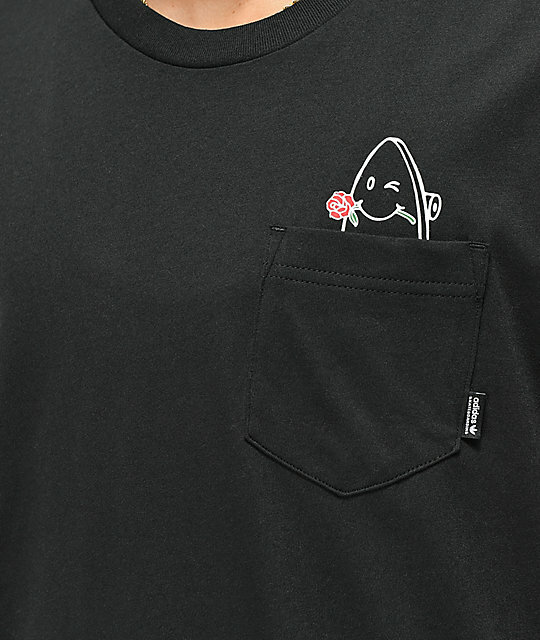 Skate Pocket Black T-Shirt from adidas. Screen printed winking skateboard graphic in pocket on left chest.